What do you get when you cross a toy system loved by millions around the world with one of the best loved party games ever? Mega fun for all the family, that's what!! We received this game on Friday to review, which turned out to be perfect timing on what has been one of the wildest, wettest weekends in Wellington in a long while. And it was a great excuse for some quiet family time sitting down around the table together, in-between a weekend that was otherwise full of birthday parties and sugar highs. We'd no sooner gotten up on Saturday morning than Noah was standing in front of us with the box in his hands saying "Can we play now? Mum, Dad? Can we? Can we?" which is always a good sign! It's a very easy game to get your head around, think Pictionary crossed with LEGO and you can't go far wrong. And with three difficulty levels to choose from (although we never made it past basic bearing in mind we were playing with a six year old and a three year old), you can make it as easy or difficult as you want. The only difficulty was prising the creations back off Mylo who was keen to play with each one after it was made, which was fine until we suddenly needed a part of that creation for the next one. There was some in-depth negotiation needed to convince him that the next creation would be even better and he might like to play with that instead! On your turn, roll the dice to determine which category you need to build. 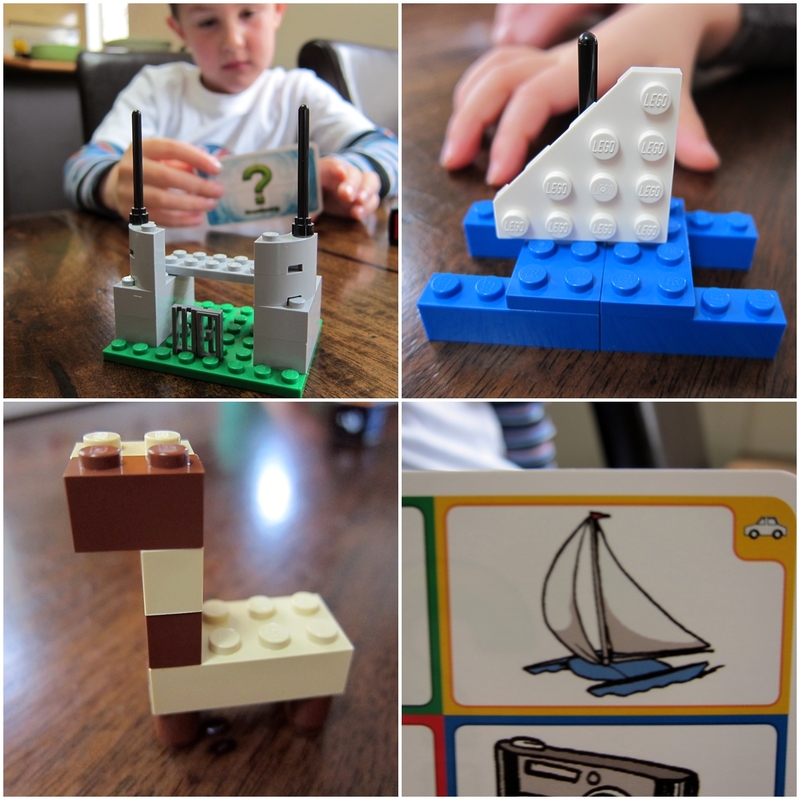 Then use as many bricks from the the whole box of LEGO bricks as you want to make your creation. 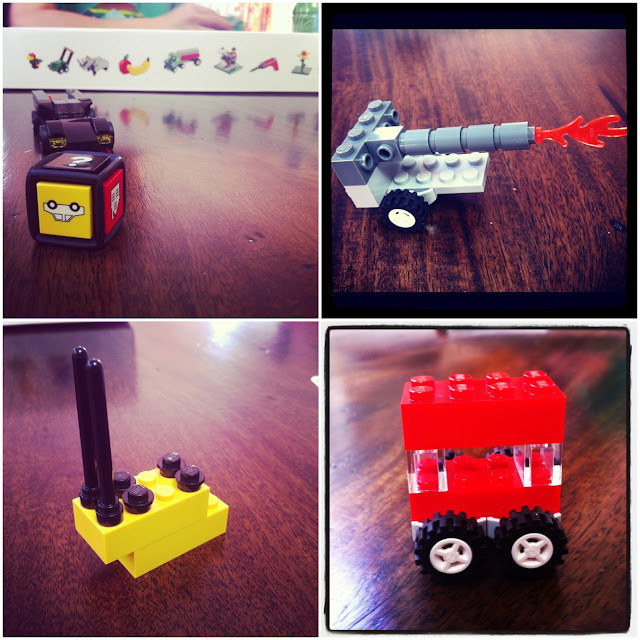 These are some of the great creations we came up with. Can you guess any of them? The game was an instant hit, so much so that they played again without me while I was out on Saturday afternoon, even sending me a little picture text of one of Daddy's creations at one point for me to guess. I guessed BBQ and I was right! Sunday morning dawned, there was an eager six year old hanging out for Round Three. I must confess I am usually somewhat challenged when greeted by a big box of random LEGO, as I much prefer to build things from a set of instructions. But I was pleasantly surprised when my creative juices got flowing, and I was turning out creations that easily matched the boys' more natural efforts. We're already looking forward to taking it up to Hamilton to play over the Christmas break with the extended family as there's a few other big kids (aka my grown-up brothers) in the family who we know will enjoy it too. If you're already thinking ahead to Christmas, you couldn't go wrong with this for a fun gift to entertain the whole family. 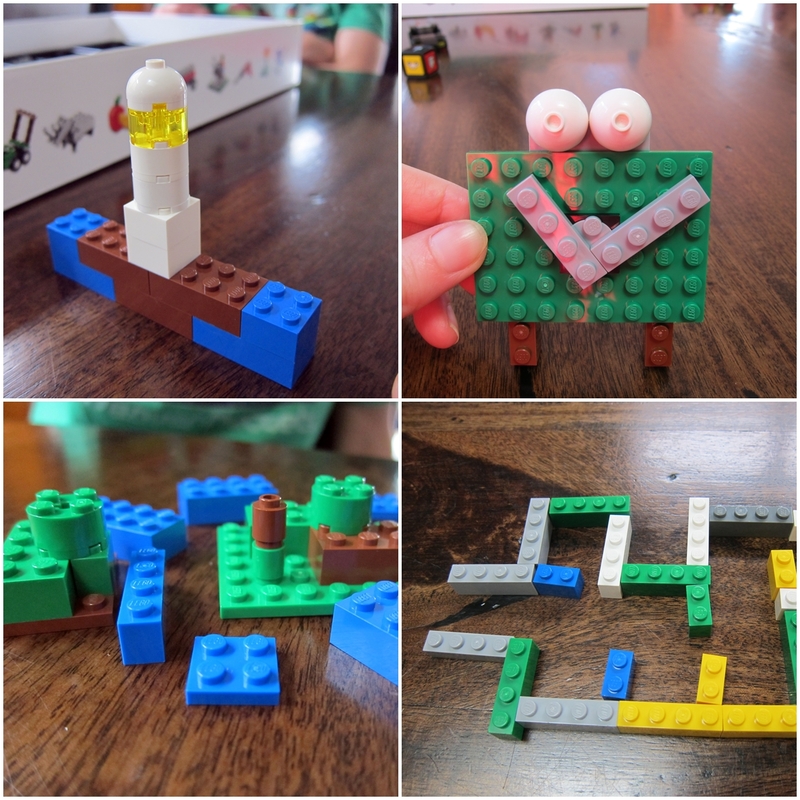 Disclaimer: we received a LEGO Creationary game in exchange for our review. The thoughts and opinions expressed in the post are entirely our own. wohoo we have one to try too can't wait to rock it out soon! I'm definitely going to be investing in this for under the Christmas tree! I've heard of it before and reading your review makes me want to play, play, play! The girls will LOVE it! Awesome photos Meghan.